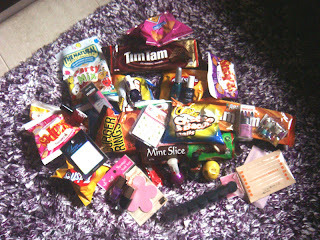 I want to share with you the first package I received for 2011 which was another swap with my dear 'Chelle from Cosmetic Cupcake. 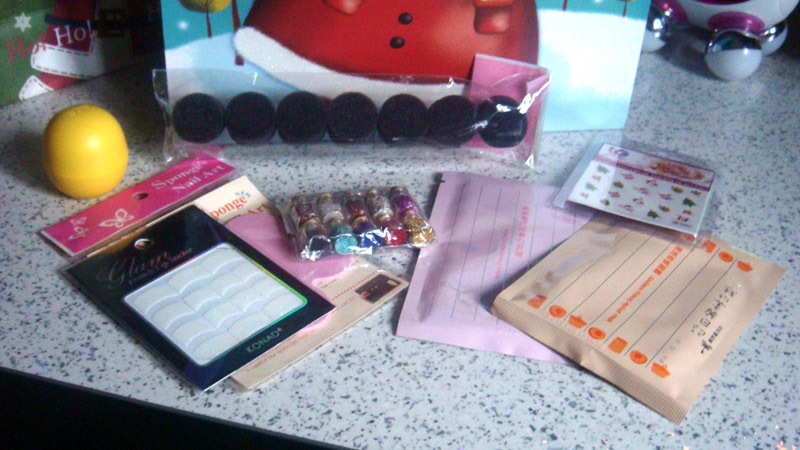 I always enjoy swapping with her, she is so sweet and kind and always picks the nicest polishes for me ^____^ So I was super happy that my first package for the year was from her. The snacks didn't last long as my hubby attacked them on the spot. I did manage to hide some though hehehehe! 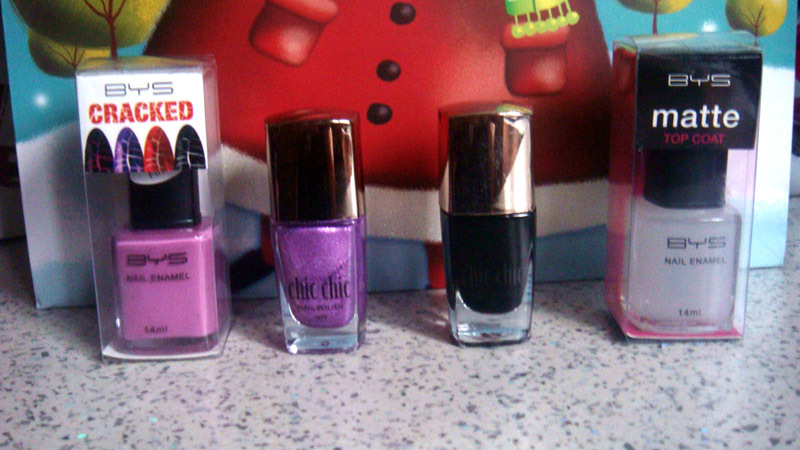 Here are a couple of close ups of the nail polishes. BYS cracked polish in mauve, Chic Chic 38, Chic Chic 23 (which a dupe of NARS zulu), BYS matte top coat. Also back in November I won a giveaway for the first time. It was so exciting ! It was the Beata's Birthday Giveaway over at Tigirlyly Konadicures. I got the package some time in December and here is what I won. 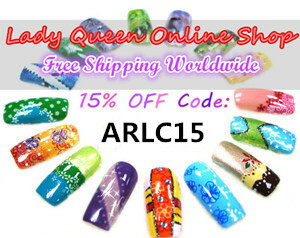 6 OPI minis, Holy pink pagoda, rumples wiggin',orge the top blue, Fiercely Fiona, Glitter top coat and top coat. What an honour to send you your 1st package of the year!! =D It is always a pleasure swapping with you my dear. I love choosing what polishes to send you and what snacks to include! 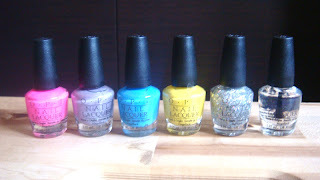 the polishes are very gorgeous! !